We are excited to share with you today the release of our latest feature - the Embed feature! The Embed feature is great for featuring a working prototype on your website, portfolio, or blog to showcase your work and get feedback. Now once you are in the Share settings, you will see an Embed option. 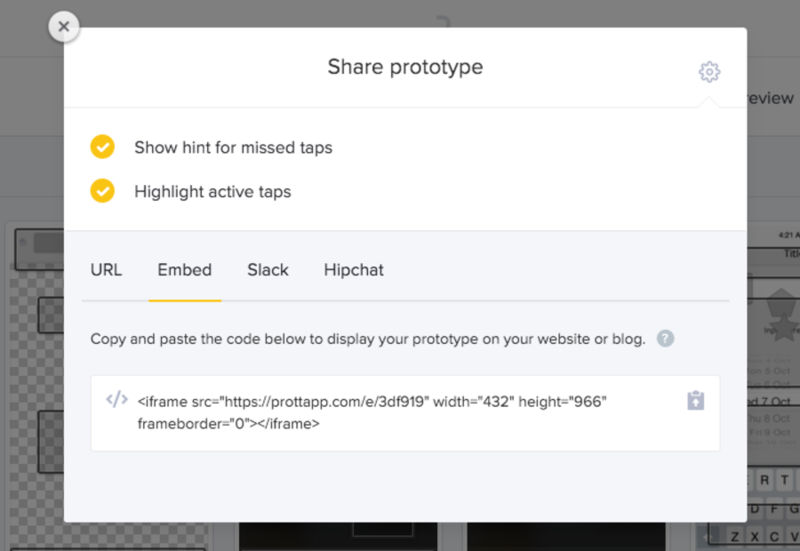 By simply copying the provided code and pasting it on your website or blog you can embed and share your prototypes in minutes. Any changes you make to your project will be automatically reflected so you won’t need to go through the whole process every time you’ve updated your project. We hope this helps you share projects and get feedback seamlessly so you can focus on making great products with your team. As always, thank you for being an active part in these big changes at Prott. Your opinion and feedback is very important to us. If you have any questions, comments, or need help, please don’t hesitate to contact us and we would be more than happy to help!